From my conversations with more than one Australian only a wanker would drink Foster's. 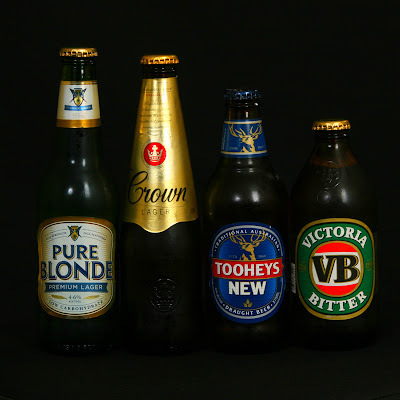 So here's the line up of some decent beers from Down Under. I've tried them all. Australians like their beer ice cold or colder. Nice break from the British and their "warm" beer. I guess my favorite so far has been the Tooheys New. However, they are all good.